Hanoi (VNA) – A Ministry of Health’s project has helped improve medical services in six central north provinces, particularly at district-level hospitals, heard a conference in Hanoi on August 18 to review the project. 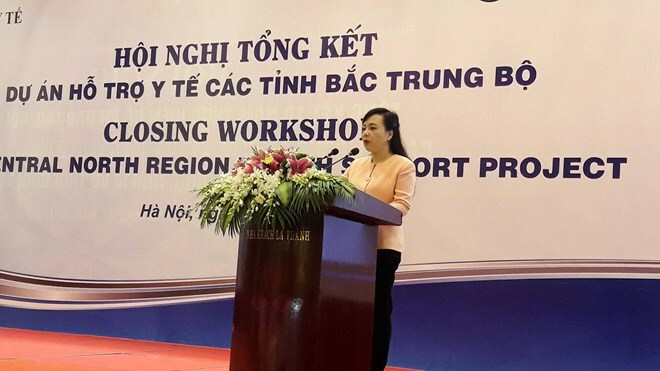 According to Health Minister Nguyen Thi Kim Tien, the project, which targeted six provinces – Thanh Hoa, Nghe An, Ha Tinh, Quang Binh, Quang Tri and Thua Thien-Hue – also raised the coverage of health insurance in the localities to over 90 percent of local residents. The World Bank (WB)-funded project, which was launched in 2010, also assisted with developing human resources for the sector, raising the number of doctors in the community. According to Minister Tien, the project has achieved nine of 10 set targets. Ousmane Dione, WB Country Director in Vietnam said that the project has enabled poor people in the localities to access quality medical services through supporting them in buying health care insurance, providing equipment and upgrading infrastructure for district hospitals and improving capacity of local health care staff. Under the project, 30 district hospitals have been upgraded and 30 health care centres received equipment and support in personnel training.